There is more to serving as a trustee than counting money or arranging to repair the church plumbing! 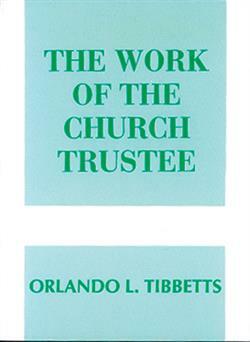 Beginning with the biblical and theological basis of service, Orlando Tibbetts has prepared a very comprehensive guide to deepen and broaden the trustee's sense of ministry and mission in his/her service to the church. An excellent tool for new or experienced board members, this book covers every facet of the trustee's responsibility as a steward of the community's concerns and as a servant of the Lord. It is both practical and inspiring. Dr. Orlando Tibbetts (1919-2014) published eight books prior to his retirement. He was born in Portland, Maine, raised and educated in the greater Boston area. He earned a BA degree, S.T.M., and a D.Min. He was granted an honorary Doctorate because of his work as an educator in Mexico.